Capture more sales by making sure your POS solution accepts the latest payment methods! Mobile technology has changed the way customers expect to pay and retail businesses that do not accept mobile payments may get left behind as the technology becomes more pervasive. In China, for example, cash transactions have almost disappeared and mobile payments more than doubled to $5 trillion in 2016 -- a country where the Openbravo POS solution already accepts mobile payments with AliPay and WeChat. 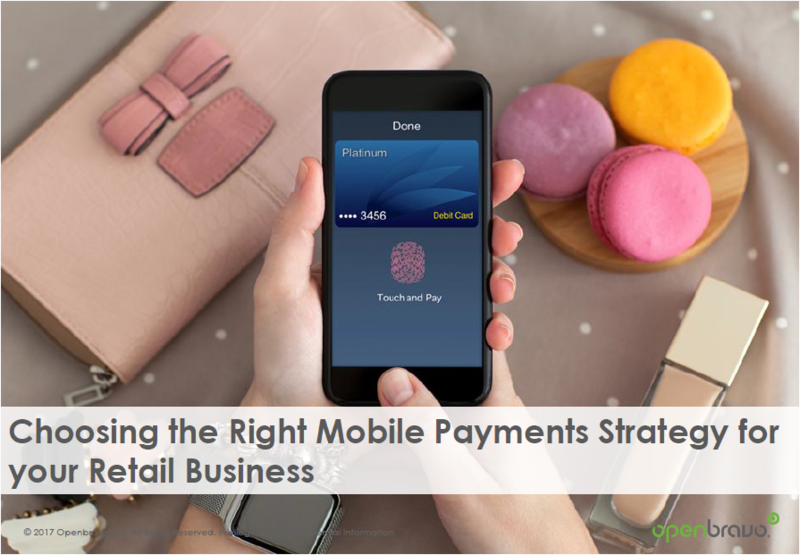 Brick-and-mortar retailers have much to gain from embracing mobile payments because they provide convenience for consumers, modernize the in-store experience, and can encourage shoppers to spend more. This presentation outlines the drivers behind the boom in mobile payments and describe some of the more popular “Pay” mobile wallet solutions such as Apple Pay, Android Pay, Samsung Pay, along with technologies that focus on specific countries such as Alipay, WeChat and Google Tez. The mobile payments landscape is fragmented and in constant evolution, so we will advise retailers to carefully consider the technologies available. There are plenty of reasons to accept mobile payments, but to do so you will probably need to upgrade your POS systems, so we will help you weigh up the advantages and disadvantages and outline how Openbravo can help you realize your strategy. To watch the full webinar which accompanies this presentation, please visithttp://www.openbravo.com/resources/webinars/?commid=294289 .